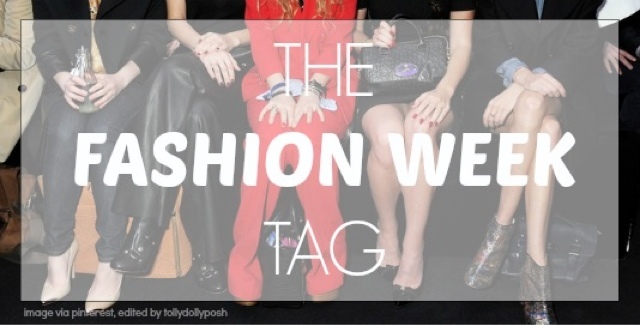 If you could go to a Fashion Week, which one would you go to and which season? : I would love to go to London but the ultimate dream is to go to New York! In terms of seasons it really doesn't bother me! Julian McDonald hands down I love that man!! FROW definitely my theory is go big or go home!! I'd love to be a makeup artist behind the scenes it would be amazing. Oh golly I have NO idea of the top of my head I'd say bright trousers black blazer and a white shirt! So that's it I hope you've enjoyed my answers check Tolly's blog out and your all tagged drop me a comment if you do/have done this tag.